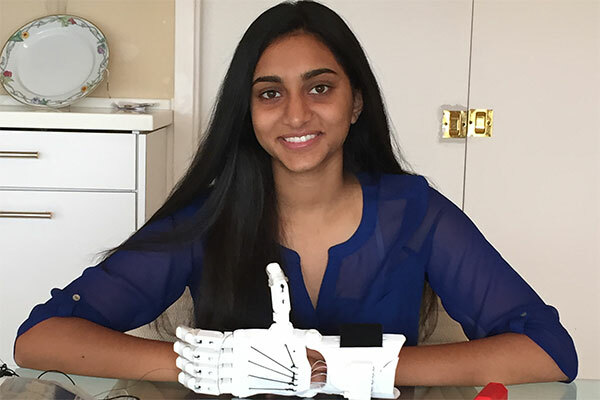 A 17-year old girl who makes 3-D printed prosthetic hands for children all over the world, a 15-year old girl who invented a device she calls BEACON that converts the kinetic energy of ocean tides or any other moving body of water into electricity, a 16-year old boy who invented the VAXXWAGON a wheel-powered cooling system that keeps vaccines viable during the final stages of transport to remote locations……..
Who are these kids? They are some of the winners of the 2016 Gloria Barron Prize for Young Heroes! Maybe the young people in your world would want to see just how far you can go with your dreams!